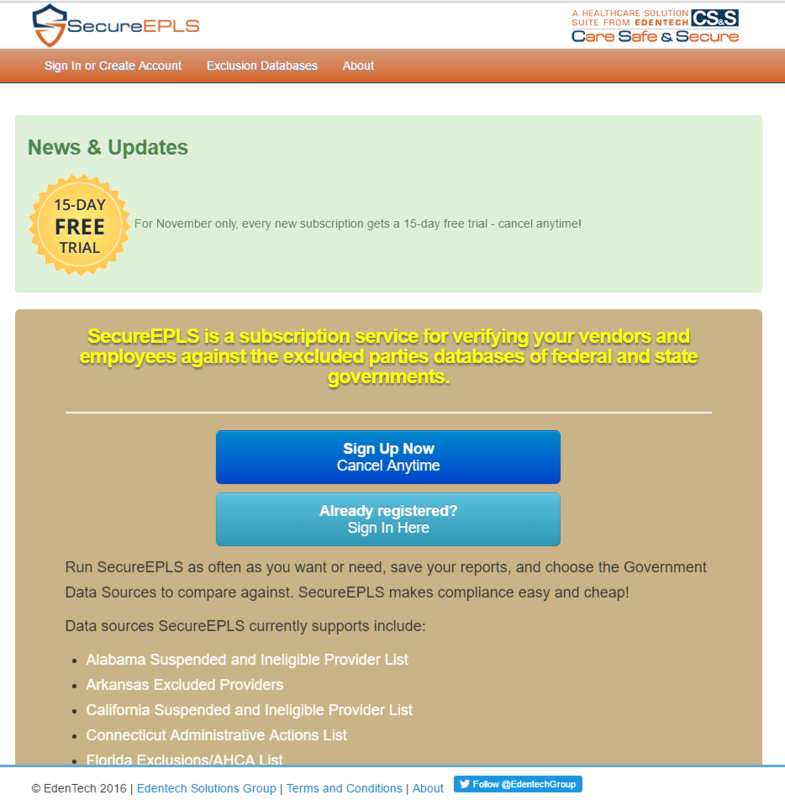 SecureEPLS is a subscription service for verifying vendors and employees against the excluded parties databases of federal and state governments. Welcome to Maine, Massachusetts, Michigan, and Missouri. EXTON, Pa. - Nov. 18, 2016 - PRLog -- Edentech Solutions Group LLC is announcing the addition of 4 more states to its growing base of Excluded Providers Lists. Effective today, the company has added Maine, Massachusetts, Michigan and Missouri. These are now choices available to subscribers on the SecureEPLS.com website. With the addition of these four states, the service now offers all Federal lists, and all but 9 state lists. "With this announcement today, we are right on schedule to build out the product to include all available Federal and State lists by year end," according to Company Partner, Lou Liberio. "We're working hard on the remaining states and will have announcements as they go live. 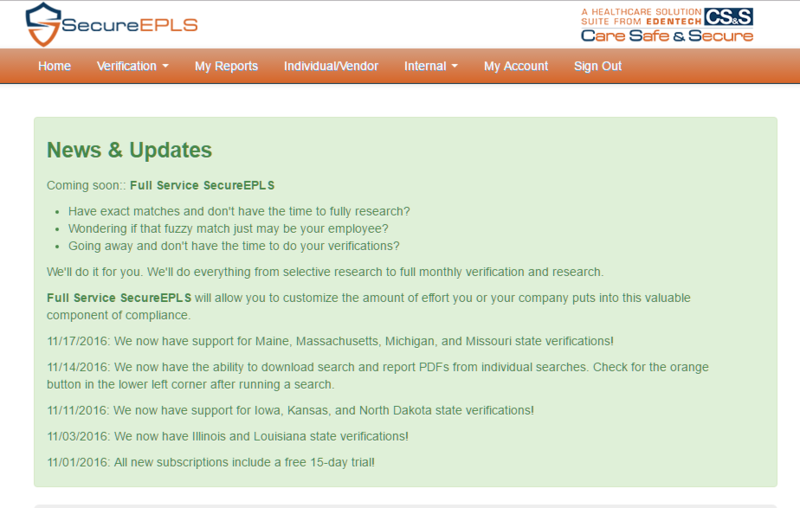 We're confident that by year end SecureEPLS will be available for everyone in every state." Subscriptions are available starting as low as $11 per month. These subscriptions are particularly suitable for Medical Practices, Homecare Providers, Nursing Homes, Assisted Living Facilities, & CCRCs. Enterprise pricing and Service Level Agreements are also available for the larger organizations such as Hospitals, Agencies, and Chains. During November, all new subscriptions get a free 15-day trial period.